Turin, the capital of the Piedmont region, may not always appear on one’s list of top 5 Italian destinations to visit. However, after having the chance to spend time in more than 5 Italian cities and towns this year, Turin definitely falls into my top 5. Close yet complex ties with France throughout the centuries have caused Turin’s downtown buildings to have more than a hint of impressive Parisian design. Turin, and the surrounding Piedmont region, can also be given credit for the creation of delicious chocolate goods (think Nutella and more). In fact, the list of qualities and traits that makes Turin beautiful and unique is endless. Hopefully, this post will give you a taste of what Turin has to offer. Overall, during my trip to the Piedmont region in April 2016, Turin was just a short train ride away from where I was staying. So, I had the opportunity to spend more time in this city than Venice and the small Ligurian towns we visited. Even though we faced rainy, overcast weather in Turin, there were still many incredible things to do and see. If you’ve read some of my other posts, in particular the ones about Prague, Kotor, Sarajevo and Venice, you’ll know that I’m always on the hunt for fantastic views of the city I’m in (…make that bird’s-eye views). In Turin, we had the chance to choose between two places to get that spectacular view: the Campanile del Duomo or the Mole Antonelliana. The Campanile del Duomo is the bell tower for the Turin cathedral. The Mole Antonelliana is one of the city’s most famous buildings/monuments/landmarks and also home to the city’s museum of film. To get up the bell tower, you must climb numerous flights of stairs, while the Mole has a glass lift (U.S. English: elevator). Both are located in the city’s downtown area. As budget travellers, we couldn’t ignore the fact that going up the Campanile cost about half of what it cost to go up the Mole (4 Euros vs. 7)…now I had more money for espresso or gelato. There were very few tourists going up the bell tower. In fact, we had the whole Campanile to ourselves, and since there weren’t any other tourists at the information counter when we purchased our tickets, the older, lovely Italian man working at the counter decided to walk us to the tower entrance and give us plenty of information about its history. If the weather is not too overcast (we were semi-lucky here), you can get a bird’s-eye view of Turin that includes the famous Mole. 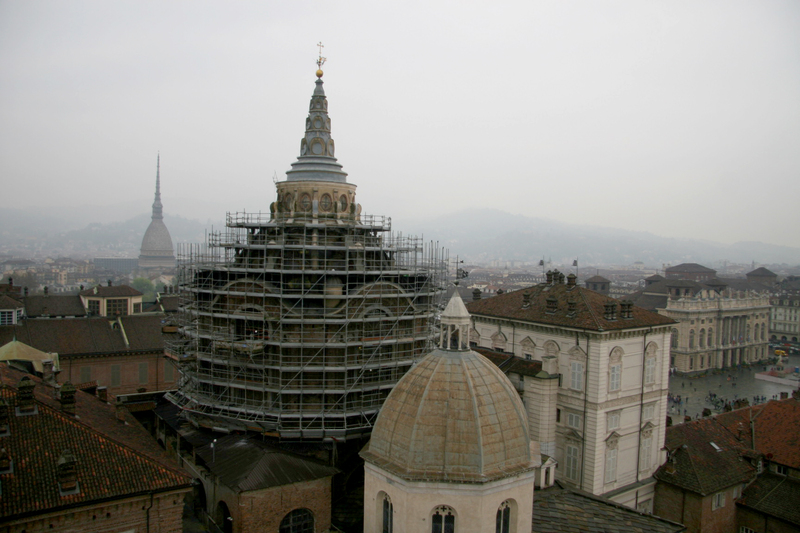 Please note that if you would like to take photographs of Turin from the Campanile, nets have been put up in the openings for safety reasons. Fortunately, in most areas, the netting’s corners have started to peel back, so taking pictures without netting is entirely possible. You can only enter the bell tower from the Turin Cathedral (Duomo di Torino), so by deciding to climb the bell tower, we had the opportunity to visit two “attractions” in one. In fact, the Turin Cathedral is also home to the Holy Shroud which is a cloth that has the face of a man imprinted upon it. Many Christians believe that the face belongs to Jesus and that this cloth was his burial shroud. Disclaimer: since the ancient fabric is extremely fragile, only a copy of the shroud was on display during our visit. The original was safely hidden away in the cathedral. View of Turin from Campanile del Duomo (Mole included). Please ignore the scaffolding. Piazzetta Reale is located to the right. Of course, I still had to get a photo of the Mole. Thank you for snapping this snap of a snap electricbluefood! After climbing down from the Campanile del Duomo, we walked for a couple hundred metres until we reached Piazzetta Reale and Piazza Castello. 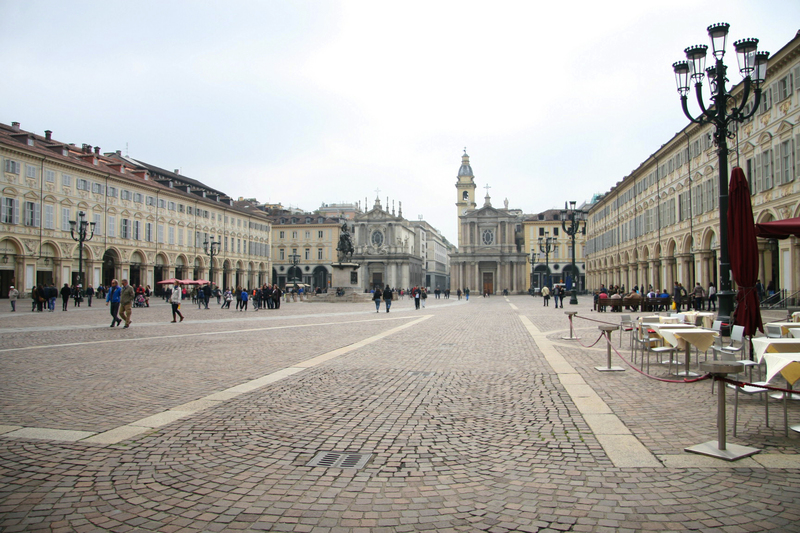 From these two connected squares, you can access the Royal Palace of Turin and other churches in the city centre. The Church of San Lorenzo can be found in this square. The church was built in the late 17th century by architect Guarino Guarini (he was also a monk and a mathematician). 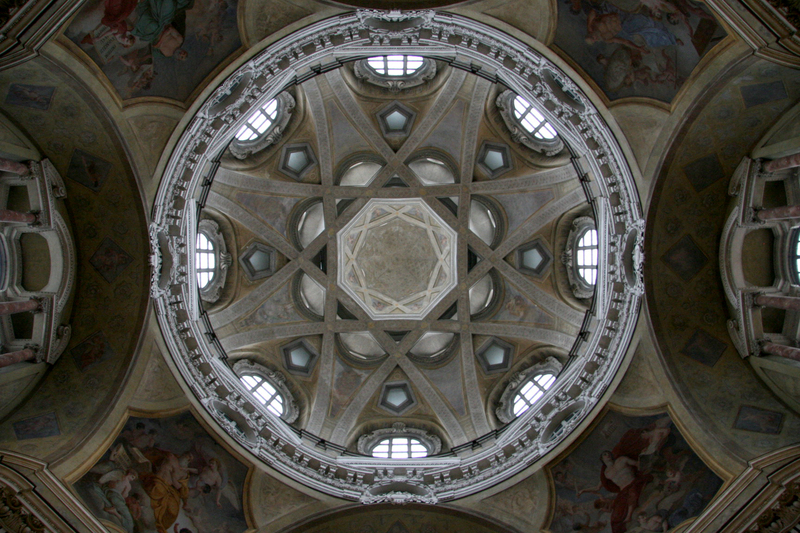 Guarini pushed architectural limits by designing an octogonal cupola combined with complex geometric patterns. In Turin, the church is sometimes considered to be a bit of a paradox. When looking up at the cupola from inside this place of Christian worship, the geometric patterns give the illusion of forming demonic faces. Clearly, this church is a place worth stopping by for a variety of reasons. The cupola from inside. Can you spot the demons? 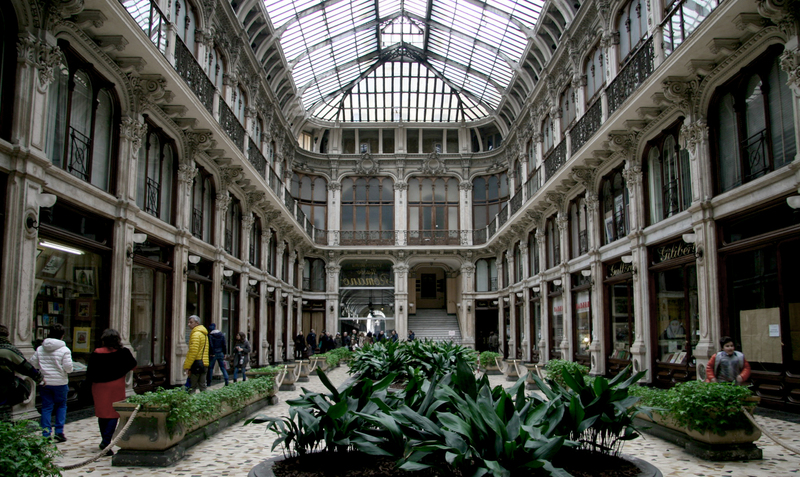 Off of Piazza Castello, you can pop into Galleria Subalpina. The shopping area was built in the late 19th century and its design was inspired by the Passages couverts de Paris (the covered passages of Paris). If you’re looking for that French influence on Turin, this is the place to see. The stunning interior is something to be in awe of. Businesses and shops are still operating in the gallery today. 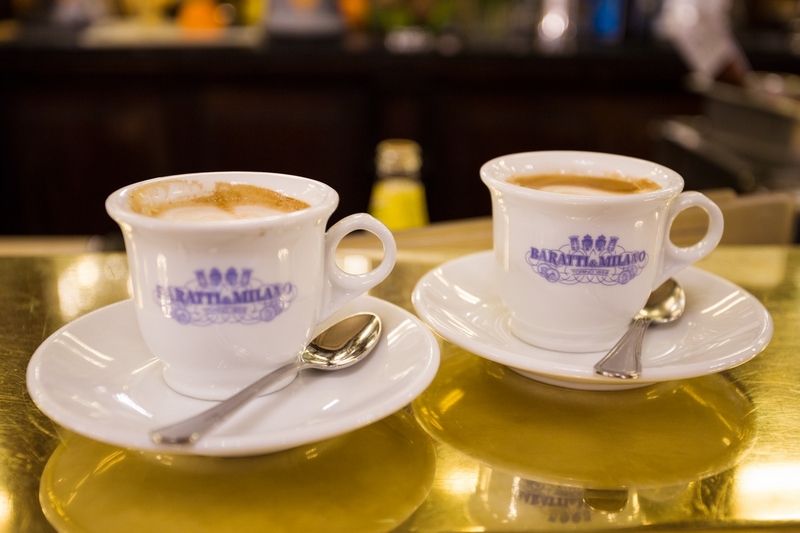 Next to the Galleria, you can find a luxuriously beautiful cafe named Baratti e Milano. It’s been in business since 1875 and was once extremely popular amongst Turin’s upper classes. While you can indulge on many delicious goods at the cafe, grabbing an espresso or macchiato while standing at the bar is more than affordable. Despite seeing “Milano” in the cafe name, the original cafe was founded in Turin. Milano was simply the last name of one of its founders. Perfect macchiatos at Baratti e Milano. What would I ever do without Electricbluefood? I bet you can guess who the photo credit goes to. Now, if you’re reading this and you consider yourself a Nutella addict, I’m going to rock your nutella-loving boat with one word: gianduja. Bear with me and let me explain. While in Turin, I suggest putting the Nutella-love on hold and trying the city’s native chocolate hazlenut spread. It’s called gianduja. While Nutella was only introduced to the world in 1964, gianduja was invented during Napolean’s rule. In fact, Nutella’s recipe is based on the older gianduja recipe. I had the opportunity to try it in the form of gelato and a chocolate bar, and it was simply divine (Baratti e Milano offers the gelato). However, if you really must stick with Nutella, that will be acceptable since Nutella also comes from the Piedmont region of Italy. Electricbluefood’s shot of the gelato. The chocolate-looking gelato is actually gianduja flavoured. From Piazza Castello, we walked towards Porto Nuova (one of the train stations in the centre of the city) in order to catch our train out of town. We walked along Via Roma where many large shops can be found. Our walk took us through more beautiful squares, such as Piazza San Carlo, and even more elaborate Gallerias (check out Galleria San Federico – it’s much newer than Galleria Subalpina but has a similarly exquisite interior). Piazza San Carlo. A statue of the 16th century Duke of Savoy, Emmanuel Philibert, stands in the middle. He used his military and political knowledge to regain land his father had lost in the Duchy of Savoy (which included Turin). As I sit in front of my laptop and contemplate how I want to wrap up this post, I find the words coming to my mind similar to the conclusions of many of my previous posts: Turin was beautiful, and I managed to see and taste so many wonderful things (except for mango gelato…will you forgive me for bringing this up electricbluefood?). However, while exploring the city, I also discovered more things that I would’ve liked to do that I did not end up having the time to do (for me, this is becoming a bit of a regular phenomenon… excuse the paradox… while travelling – anyone else?). I hope to return to Turin one day and visit places, such as the Giardini Reali and Galleria Umberto I, and most likely, compile new lists of even more incredible places that will demand a third, and possibly a fourth visit to the city. From a photographic perspective, I wouldn’t say this is my strongest post (I was borrowing an old DSLR living out its final days). 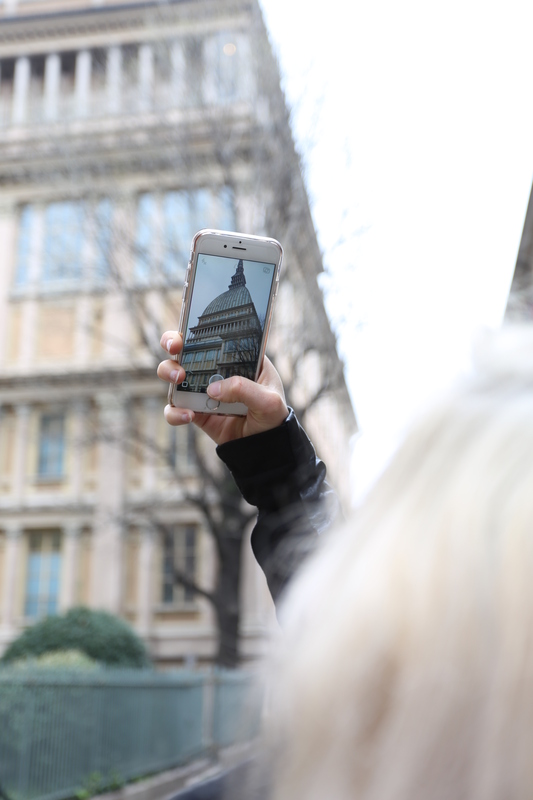 However, I didn’t want the photos to hold me back from sharing my experiences in Turin. If you’re looking for higher quality and more dynamic images, I promise that they will be coming your way soon. My new Sigma 17-50 mm lens embarked on it’s first European adventure this summer and set foot in Milan, Bellaggio, Menaggio, Lucerne, Hallstatt, and more. I look forward to sharing those adventures with you in the upcoming months! Thanks so much for the comment and feedback! Turin has so much interesting history. It was really fun to write about it! Thank you so much for reading! 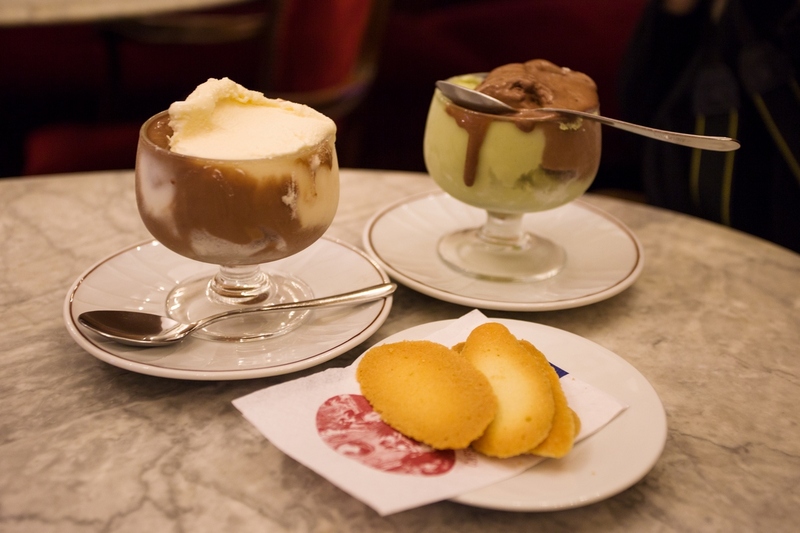 The gelato cannot be missed!